We as a whole need some person to rectify us when we take wrong choices throughout everyday life. Correct? And when it's our website, monitoring it properly becomes a major concern to be considered. But unfortunately, in order to save the expenses, most of the market makers ignore the fact of adding a testing process to their web development. They usually have a mindset that once the app or website is ready and out in the market, it’ll work perfectly with no errors or issues. This is the point where most of the people commit the blunder mistake. You'll ask how. We should have a closer view! What is Software Testing and What is its need? Getting your website launched in the market and realizing bugs and other mistakes later is going to leave you empty-handed. Being helpless, you’ll have to get the whole process redone with the wastage of time, labor, resources, and costs. Agree? But if you would have acted smart by hiring a software testing team the whole blunder could have been avoided while saving the huge capital spent on re-processing tasks. Let’s have a look on few fields about how software testing can benefit the web development sector. 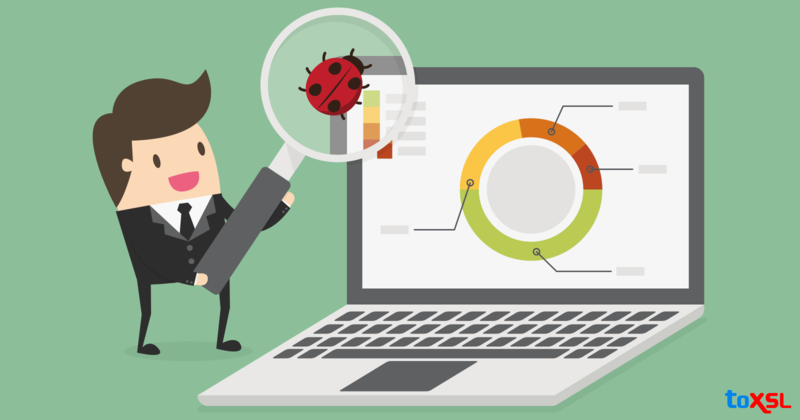 Software testing will simply monitor and analyze every single stage of your web development and report the bugs at that moment itself. This will let you know the shortcomings to be handled which were overlooked by you till date. Thereby, you can get the bugs fixed at this moment itself and once fixed, move to the next stage. Performance would definitely rise along with reaching the customer satisfaction level. The testing team you hire will hold a deep expertise in the latest testing tools and techniques to test your website efficiently. They already have a pre-planned and a defined strategy to be carried out on your website testing like- gathering the complete requirements, creating test plans, analyzing them, detecting the possible bugs, reporting them, once fixed then again a thorough testing process is carried out. When your website is working smoothly, just don’t sit carefreely. Whenever you add even a minor feature or like even a single page can put you in trouble. You have no idea about which thing will be stuck where. So, the testing team keeps a regular check on the newly added features on your website, if its compatible enough for the normal working, alright! Otherwise, they get it fixed immediately. Instead of carrying out the testing process manually with your development team, it's just not possible to get through the complete process on a regular basis. But if you get a separate testing team which continuously focuses on testing 24/7 would obviously get you better outputs with a successful website. On the off chance that you are extremely worried about finding your site in an error-free and accurate environment, then just don’t waste your time thinking. Get up and look for some software testing experts holding a profound aptitude in the testing strategies. Good Luck!